RC Dening - Growing up. 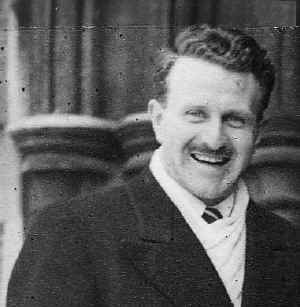 Richard Dening was born on 5th January 1920, in Chatham, Kent, England, the son of Basil Cranmer Dening and Ruth (nee Henderson) Dening. 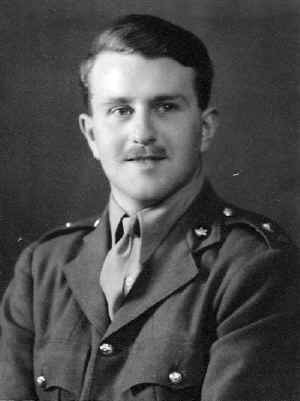 His father was a career army officer and was based in Chatham at the time. Richard was the oldest of four children born into the family. 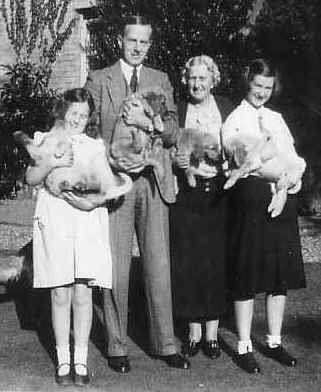 He had a brother John, and two younger sisters, Angela and Fenella. His father was posted to Ireland (from 1921-1923) and while he was there, his mother Ruth, lived with Richard and his one year younger brother, John, in Holyhead. After Ireland, Richard's father was posted to Cologne in Germany, where his mother apparently became rather overweight from eating too many cream cakes out of sheer boredom! This incident was apparently viewed less than favourably by Esler Dening, Tim's Uncle (who was a career diplomat and Ambassador to Japan from 1951 -1957)! They subsequently returned to England in about 1924, to a rented house in Fleet, where his two sisters, Angela and Fenella were born. According to Angela, it was in the big wild garden in Fleet that Richard's life-long passion for butterflies began. Angela also explains that Richard's much more familiar nick name of 'Tim', was derived from a popular children's magazine of the time. It helped to distinguish him from a cousin with the same name. (It was a Dening family tradition to name the eldest son Richard.) This nick name stuck with Tim throughout his life and it was how he was best known.. In 1929, Tim's father and mother went out to India for five years, attached to the Indian Army, taking the two little girls with them. 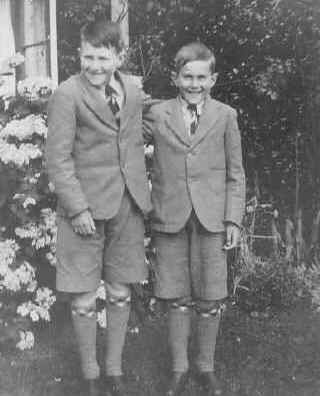 Tim (aged 9) and his brother John (8) remained behind at Tormoor School in Deal, Kent and under the care of relatives. At the outset, this arrangement was meant to continue for five years, but in the event, his mother came back with Fenella and Angela after only three years. The only method of travel between England and India was by boat, the journey taking three weeks. Interim family visits home were simply not possible, so the boys' school holidays were spent with their Grandmother Henderson and their Aunt Joyce. Tim's sister, Angela (on the right of the photograph) recalls that after their return from India, they lived in another house in Fleet, which had 4 acres of garden, including a stream and an area of heathland. 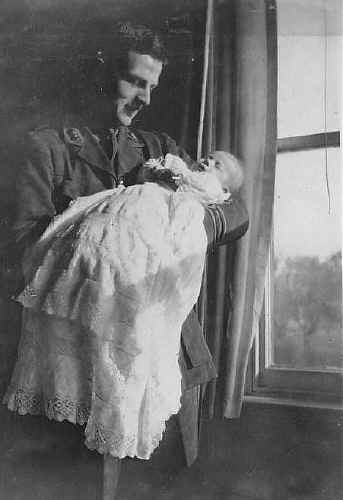 This photograph was taken prior to the outbreak of war while Tim's father was based at Colchester. In the summer, another favourite pastime was fighting heath fires and there was always great excitement when the fire hooter went off. Tim's secondary education took place at Bradfield College, where he became a Head Boy. He always enjoyed sport and took part in both running and football at college. He was in the School Running VIII from 1936 -1938 and Captain of the VIII in 1938. 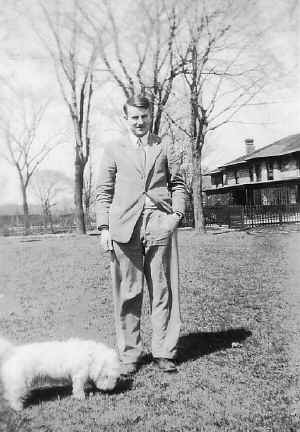 He left the college in December 1938. Some of Tim's school sports pictures are reproduced here. Tim wanted to read modern languages at Cambridge and so he spent some time in Germany prior to World War II, staying with a German family to improve his language skills. This helped him to gain a scholarship to Clare College, Cambridge, to read French and German (although he later transferred this to History and finally Economics). Before going up to Cambridge, Tim took advantage of a nine month gap in education and crossed the North Atlantic in an icebreaker in March 1939. He bought an ancient car (maximum manageable speed 40 mph!) and drove it from Montreal to Vancouver. From Vancouver he made the trip back to New York in a Greyhound Bus, via San Francisco, Los Angeles, South Carolina and Washington. War broke out soon after his return. However, Tim spent the first year of the war at Cambridge on the advice of his father, because there were already too many volunteer recruits at that point. Sadly, Tim's father was killed in May 1940, by a Stuka dive-bomber as he was sailing away from Dunkirk. Tim subsequently postponed obtaining his final degree and joined the Indian Army. This choice was prompted by family connections with the Indian Army, notably Lieutenant-Colonel Roland Dening, who was a cousin of his father's. Tim was sent to serve in India and Burma. At the end of the war, Tim finished his studies and obtained a war degree before accepting a post with the Colonial Administration in Northern Rhodesia (now known as Zambia). He went out to Northern Rhodesia to take up his new career in 1947. Tim loved animals and was very fond of cats. Fenella, Tim's youngest sister, remembers how their white Persian cat, Mimi adored Tim and was always to be found draped across his knees whenever he came home in his student days. Mimi also welcomed him delightedly the minute he returned after the war, despite the many years of absence. He looked terribly glamorous in his military uniform and Fenella insisted that he wore it when he came to take her out when she was at boarding school, despite boiling hot weather. She recalls that unfortunately, all her friends had gone out by the time he arrived and by the time they returned, he was in mufti! He took her to see Henry V, with Laurence Olivier and they had a cream tea - such a treat! When Tim returned from the war, he was horrified to find that Fenella (left) had never been to a dance, so he would take her to the dances at the Officers' Mess. At a time when clothes rationing was still in force, he obtained a second-hand, diaphanous, multi-coloured, long dress from one of his girlfriends for Fenella and would then instruct her "Stop looking at your feet!". She remembers the fun they always had together. During Tim's time at Cambridge, they went to see Charlie Chaplin in 'Modern Times' and she recalls how his wonderful laugh ricocheted around the small cinema. 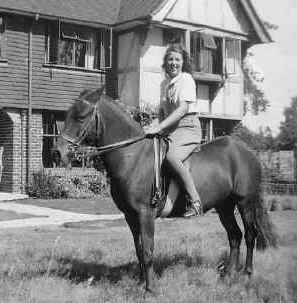 While she was at secretarial college in London and he was preparing to go out to Northern Rhodesia, they would have combined outings to night clubs and dances. Angela had her 21st birthday while she was at Oxford, so Tim and Fenella went to celebrate with her, each travelling under their own steam. Fenella recalls that when she got to Angela's university rooms, everyone had already gone off to the party. It was a freezing night and there was no proper heating post war, so when Tim finally arrived (having caught a later train) she was sitting there on her own, inhaling sherry in front of a gas fire. He simply roared with laughter - as he always did.